The material in this collection is taken primarily from records series held at The National Archives and brings together for the first time the intelligence reviews produced by the three individual armed services. 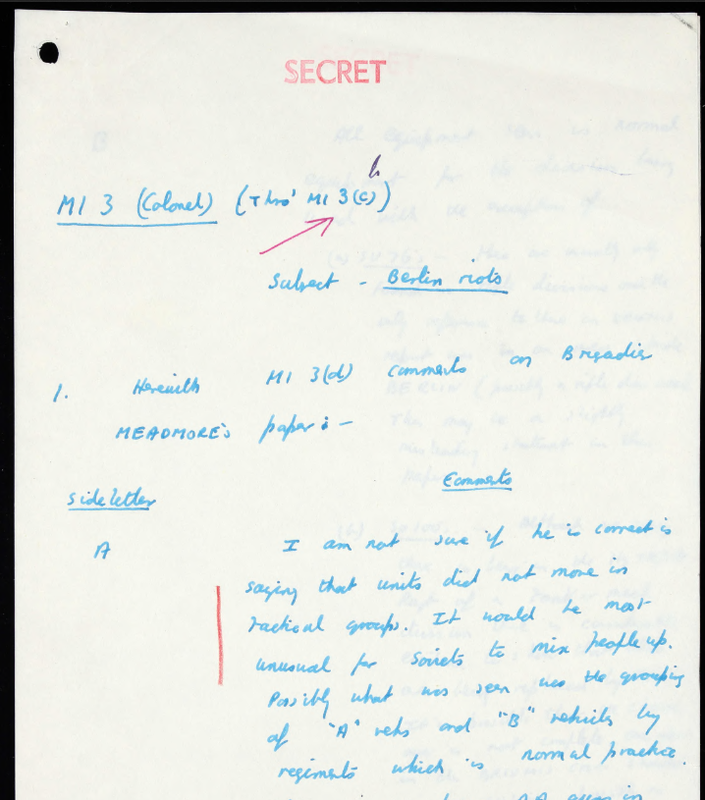 Military Intelligence Files covers the period from 1938, just prior to the start of the Second World War, to the high point of the Cold war in the mid 1970s. The three armed services and their respective intelligence branches were largely autonomous. This independence came to an end in 1964 when the three separate intelligence branches (army, navy and air force) were combined to form a unified Defence Intelligence Staff within the Ministry of Defence serving the whole of the British armed forces. 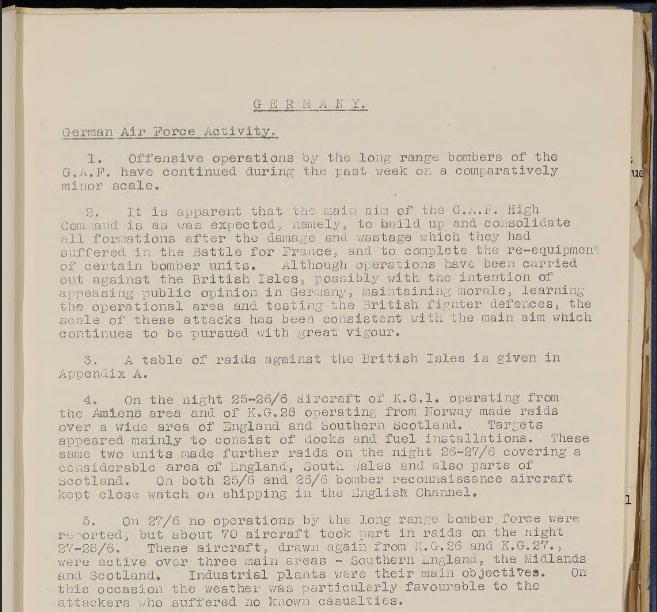 In this digitised collection you will find the weekly intelligence summaries produced by the British Army, Royal Navy and Royal Air Force during the Second World War (1939-1945) as well as monthly and quarterly summaries produced in the years after the War. It also includes papers and reports related to The British Commanders’-in-Chief Mission to the Soviet Forces in Germany (BRIXMIS), with Foreign Office papers covering 1946-1966 and mission reports covering 1949-1974. Access Military Intelligence Files: Land, Sea & Air, 1938-1974 via e-resources trials. Access available until 9th May 2018. This entry was posted in Library, Online resource, Primary sources, Trial and tagged 20th century, archives, Britain, Cold War, correspondence, Databases, Europe, History, Intelligence, International Relations, official documents, primary source, Security, World War Two by cstirling. Bookmark the permalink.